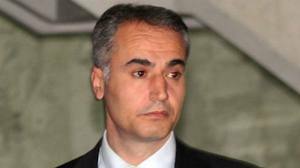 Why Are EU Countries Abusing Kurdish Leader Adam Uzun? Since 1984, EU member countries have been accusing only Kurdish leaders from Turkey of being members of a terrorist organization. But they are helping Kurdish leaders from Iraq, Iran, and Syria to be free while they are doing the same thing. They are fighting their respective countries for the freedom of the Kurds, according to their claims. There is a documentary movie titled “Good Kurds, Bad Kurds”, directed by journalist Kevin McKiernan, explaining the double standard by the EU and the US Government toward Kurds from Turkey and Kurds in other countries of Middle East. Turkey and the PKK are negotiating a peaceful settlement for the war waged by Turkey against Kurdish people. Adam Uzan is a peace activist in Europe and member of the Kurdistan National Congress (KNK). He was arrested last October in Paris and accused of being a member of a terrorist organization and denied bail. He had been a key negotiator for in the Oslo Peace Talks with high level Turkish government representatives. And he is well known for his commitment to a negotiated settlement to the Kurdish question in Turkey. Why did the Government of France arrest him? He went to Paris, France before the enemies of peace between Kurds and Turks killed three Kurdish women who were political activists, shot dead in Paris. The EU and the US are claiming to be democratic and peace lovers, so why are they not helping the peace process in Turkey? It is time to give up double standard and move on to be friends of the Kurdish people. Kurds never hurt western countries’ interests; there are no reasons to be treated like terrorists. They are fighting for freedom in their own land.